We are pleased to welcome you to our office. Our new facility is modern, comfortable, and spacious. 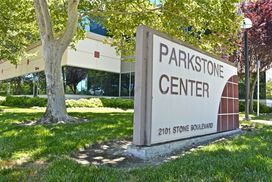 We are located in a professional building with easy parking. If you're looking for quality care with a personal touch, we hope you'll give us a call. We look forward to the opportunity of serving your family's vision care needs. We are conveniently located nearby and would be delighted to have you as a patient. Please call us at 372-3090 to answer your questions or to make an appointment.